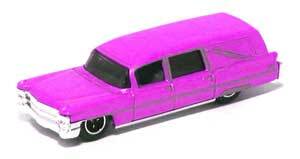 Matchbox 1963 Cadillac Hearse. This model begs to be recoloured! 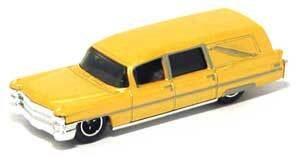 The green and white one is a copy of the Cadillac use in the TV series Six Feet Under. 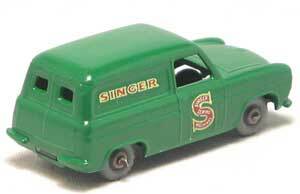 Matchbox 59a Ford Thames Singer Van. I repainted this in the Dark Green and made the decals. Matchbox 42a Bedford Evening News Van. Restored and changed to an Australian theme using decals I made. 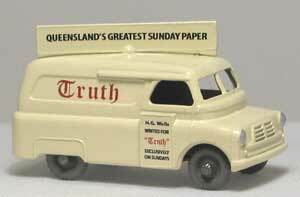 This was similar to an actual vehicle used by the Truth Newspaper in the early 1960's. 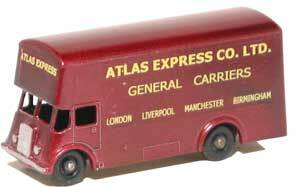 Matchbox 25c Bedford TK Tanker. Again, restored using an Australian theme. 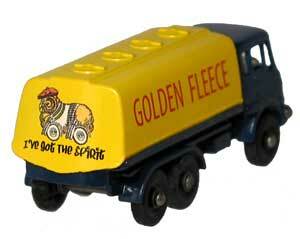 Golden Fleece Petrol had the largest chain of petrol stations in Australia in the 50's and 60's. 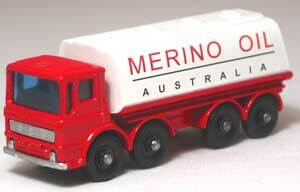 Matchbox 32c Leyland Petrol Tanker. 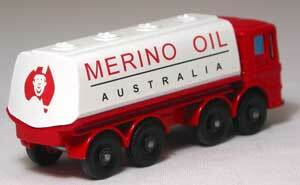 Restored using the Merino Oil brand name with a funny little Merino sheep on the back in the middle of a map of Australia. 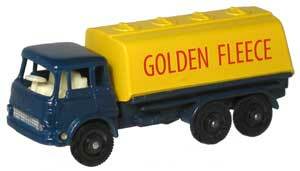 Matchbox 66b Greyhound Bus. 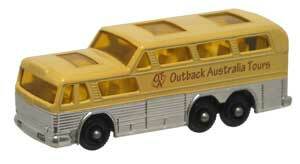 Restored using an Australian theme "Outback Australia Tours". 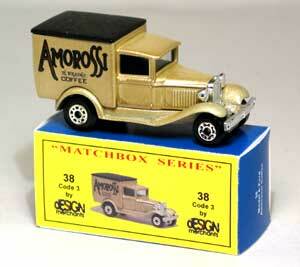 Matchbox 46b Removal Van. I found an old black and white photo of a similar pantec truck with this signage on it, so I copied it and made this beauty. 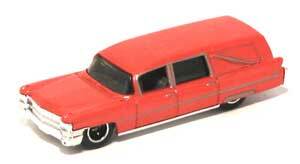 Matchbox 22c Pontiac Grand Prix. Although I showed this on the previous page, I put this photo here to show the right hand drive steering conversion. And, I just love the model! 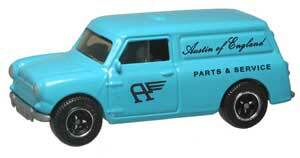 Matchbox Austin Mini Van. This new model lends it's self to so much modifying. A great addition to the range! 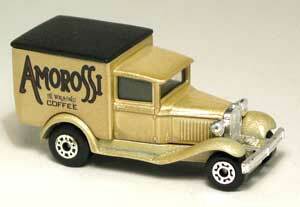 Matchbox 44 Model T Ford Van. I made some decals for this in memory of Luna Park in Sydney. I enjoy making boxes for my creations as well. 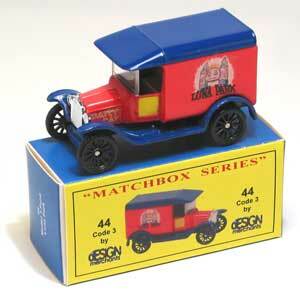 Matchbox 44 Model T Ford . 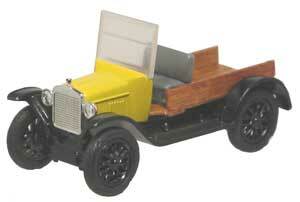 Made this into a Buck Board truck using real timber. Easy fun little truck to make. 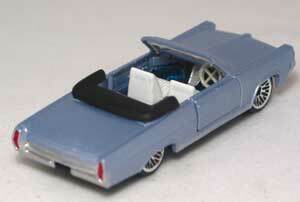 Matchbox 33b Ford Zephyr Mark 3. Had to make one of these into a "Z" car! Convoy Ford Aeromax and Model A Ford Van. 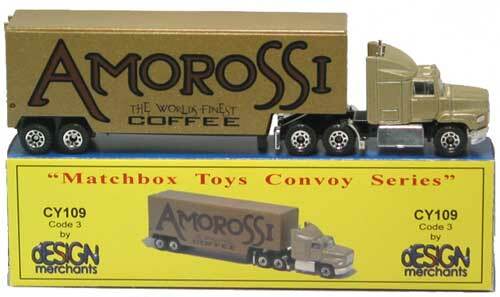 Matching signage using our own coffee brand of Amorossi - The Worlds Finest Coffee! What a great way to promote your own brand!